Hungama is new a club night curated by Ryan Lanji that launched in June 2018. “Hungama” loosely translates to “Bedlam” or “Chaos.” I recall my mother using similar words to describe my mental and physical state when I came out to her. I can imagine many queer South Asian people have been cussed out by their parents in a similar fashion, too. Immediately I was greeted by electric energy and queer folks of color pulling looks left right and centre. The music was pumping as the dancer Raheem Mir was getting the crowd warmed up for their performance to a Bollywood track. Everyone was wild and I think I saw around four people fall in love. After Mir’s performance the space was brimming with queer people of color uplifting and encouraging one another to release their inhibitions and just be free. It felt like the perfect hub for queer people in the visual arts and fashion industry to party. I could sense Lanji’s attention to detail everywhere I looked. From the mixes pumping from the sound system, the Bollywood dance clips brightly displayed on an LED screen below the DJ Booth, and the natural flow of people occupying space on the stage. I was immediately greeted by old friends and warm familiar faces. For me, this night was just what I needed to center myself and my identity. I got the chance to speak to Lanji briefly at Hungama and I could see his treatment of the night was similar to a mother looking over her child. That warm energy that radiated from him permeated the club space. I think this is the first time I had attended a club night and not the slightest bit of misplaced shade was thrown, no bouncers getting lairy; I was just surrounded by people who were feeling themselves and their friends and minded their own business. Kajal: What was the inspiration behind Hungama? Where and when did it all start off? Ryan Lanji: Hungama started in May of 2017. I had this moment where I realized working in fashion and art, I had spent so much time trying to integrate into those worlds. When I came back to London I realized I had lost touch with my culture. I lost touch – the culture provided by your mum and being entranced by the magic of Indian cultures and traditions – I really started to miss it. I started to watch them again, and it gave me energy and light. I shared it with my friends and I wanted to share it with more people. I started to look around to see if there was anyone that I could identify with. I couldn’t, really. 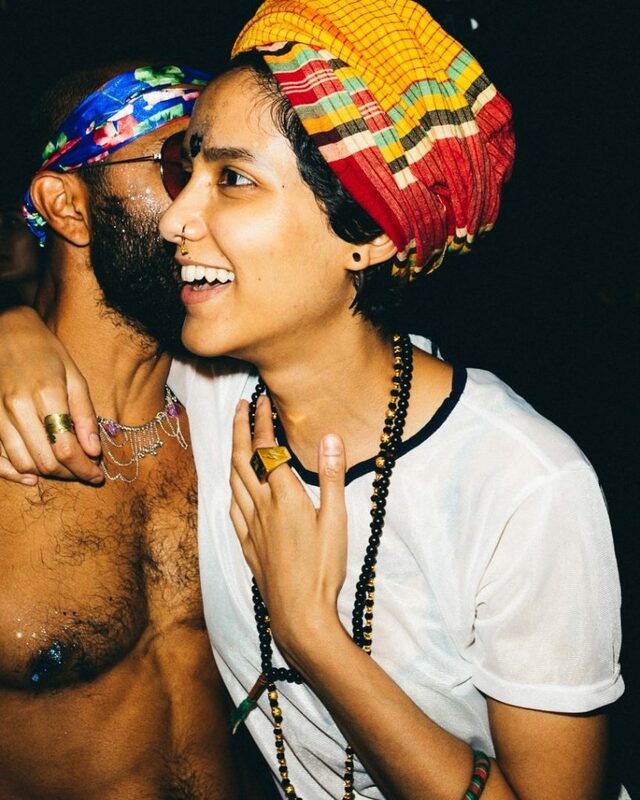 Wherever I looked it was other queer South Asians assimilating into whiteness, or trying. But, any South Asian will tell you their favorite genre is Hip-Hop. When we heard the Hindi feature in Missy Elliot and Timbaland Tracks we would sing along to it where everyone else would mumble. That was powerful, that’s when we were centered. I want more spaces like that. 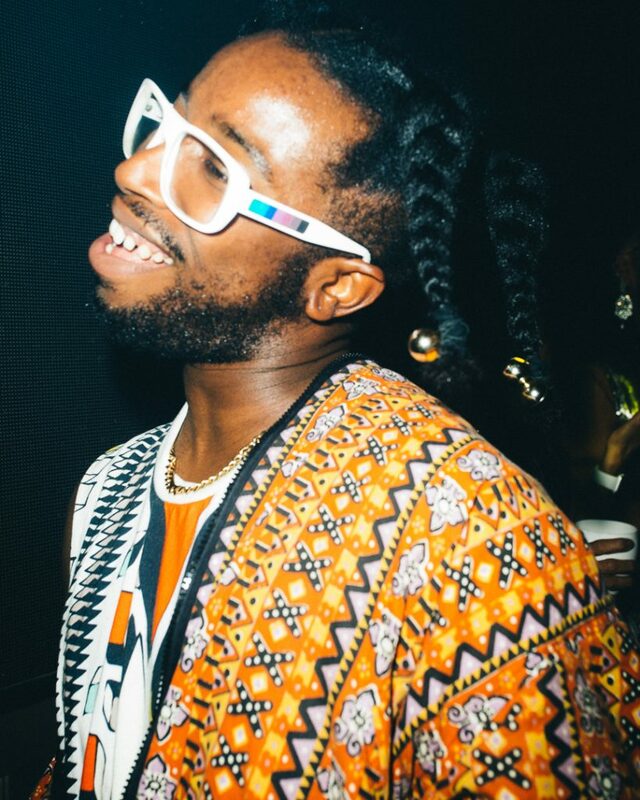 What are your current experiences with LGBT clubbing, either BAME centered or not? I was very fortunate being Canadian, Indian, [and] British. I can integrate into many different pockets of the LGBT community. I find them exciting and visceral at times. I am fortunate of having friends from different pockets but I also sympathize with those who feel too shy to join in, too. The ethos of Hungama is that it’s for everyone and anyone as long as it comes from a place of love and excitement. Everyone was dressed incredibly. Do you deliberately cultivate spaces for fashionable people or is it the vibe that attracts them? Can you tell me more about your personal style? Through my experiences of working in fashion I was able to meet some wonderfully fashionable and energetic people. I made solid friends with people in such a fickle industry. I have managed to integrate myself into the East London Club Kid scene, of which I have always been a fan. I have always been in awe of people who party like that – it’s all about diversity and I’m here for it. For me, there is no better way of expressing individuality through fashion. When I was younger, around 14 years old, I would always be experimenting with my clothes. I would try out paper trousers and bow ties to traditional weddings. My mum would be livid, she would get caught up in “what everyone else would think” and threaten to turn the car around and take me home. That’s why I want to bring South Asians into this queer space where everyone can express themselves however they want to and truly be who they are. How do you envision a queer future? In the clubs and in the everyday? I hope for a community and society that is knowledgeable. Even within our own diasporic communities. I think it’s time to break free from the archetypes and stereotypes that society has put onto us. We owe it to ourselves to provide a voice for others who don’t have one. We owe it to each other to stand up with the world as a united front [laughs] and make these changes. Who are your personal icons? Without a doubt, Henry Geldzahler. He was the curator behind pop art. He was very friendly with Warhole and Lichtenstein. He helped champion starving artists and put their work on massive platforms. He’s an underground shaker of the art world. I look at culture as a form of art as it’s a medium in which we communicate. I use his ethos – supporting people who are brilliant and believing them. I believe in creating big energy. Some other people include Grace Jones and Lee Barry, and just any amazing peoples who come together to create a mosaic of empowerment. Are you and your team working on making the event more accessible? The main floor is wheelchair accessible. Metropolis is hosted in many different venues and we try to make everyone safe and comfortable. 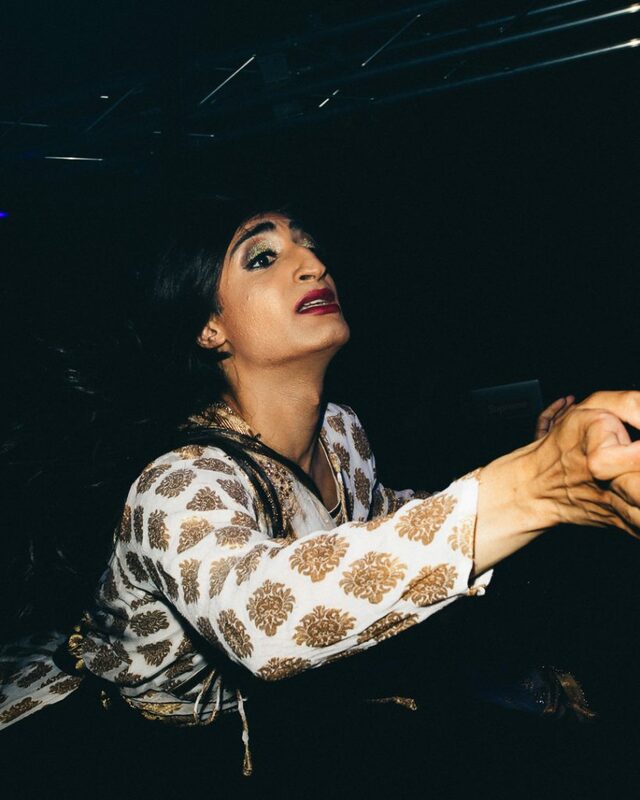 Some people found your choice of hosts, The Witches, a trio of white club kids, quite an interesting fit for a South Asian centered night. Do you have anything to say in response to that? Some people find Hungama’s choice of hosts for Thursday quite controversial. I’d like to make it known that migrant communities in Europe also go through oppression, they also have language and culture barriers to overcome before integrating safely. The Witches took me in with nothing but love and acceptance when I was trying to find my space in London again. They were so welcoming and so kind, I see them as family. This is The Witches venue, and East London is their stomping ground, I wanted to welcome them into my night and allow for Hungama to be truly diverse. The next Hungama will be on July 20th at Visions in Dalston, London.